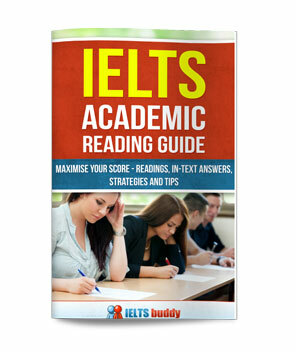 This lesson is about IELTS advantage disadvantage essay questions when you are told to assess whether the benefits of something outweigh the drawbacks. The topic of the essay which is used as an example is about the trend to live and work abroad. People now have the freedom to work and live anywhere in the world due to the development of communication technology and transportation. When you have this type of advantage disadvantage essay it is important to distinguish between this and one that asks you to discuss advantages and disadvantages but does not ask your opinion. If you are asked “What are the advantages and disadvantages of…..” you are not being asked your opinion. You simply have to discuss the benefits and drawbacks. However, if you have the word “outweigh” or “Will this trend have more positive or negative effects?” then you are being asked for your opinion and you must say which there are the most of – positive or negative impacts. If you do not do this then you may get your score reduced on ‘Task Response’ for not fully addressing the question. If you look at the IELTS public band descriptors (available to download if you do an internet search or available from your local IELTS centre), you will see that this could reduce your band to a 5 for this criteria (it would not necessarily affect the other three criteria). 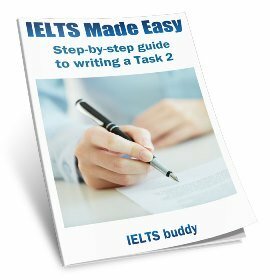 (Check this lesson on IELTS Band 7 for an overview of the criteria for getting a band 7 if you are unsure of what the criteria are). This advantage disadvantage essay is not asking for your opinion. 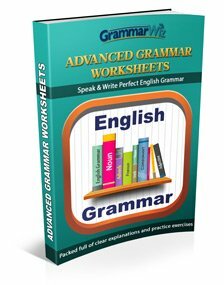 You could simply write one paragraph on the advantages and another on the disadvantages. Will this have more positive or negative impacts? Another point to be careful of is using the word ‘outweigh’. 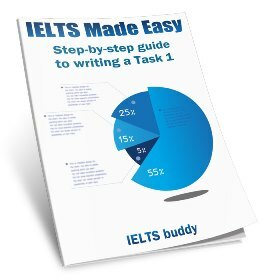 It is common for IELTS students to get mixed up when they write the thesis statement, and actually say the opposite to what they write in the essay! For example, they will say the drawbacks outweigh the benefits, but then give more benefits in the essay. This makes no sense. I believe that this has more benefits than drawbacks. You then need to think of 3 supporting ideas. One for one side and two for the other side. So you will then have three body paragraphs, one with the drawback / benefit and two with the advantages / disadvantages. It is common academic practice to start with the opposing opinionto yours, so you can start with the point that you have one idea for. As explained above, it is very important, especially if you are looking for a band 7 or higher, that your opinion reflects what is in your essay. So if you have said there are more benefits, then you would have two benefits and one drawback. Now take a look at the advantage disadvantage essay model answer. These days many people choose to live or work in other countries, which has been made possible because of the convenience of air travel and modern communications. I believe that this has more benefits than drawbacks. The disadvantage of this development is the distance that is put between family members. If a person moves away it is true that air travel and devices such as skype mean that communication and contact can be maintained. However, it is likely that a person will only be able to return one or two times a year during holidays, and speaking on skype or via email is not the same as face-to-face contact. Despite this, there are significant advantages it can bring to people’s lives. Firstly, it means that people have the opportunity to see other parts of the world and the way people live. For example, people from the West often go to work in Asia or the Middle East and visa-versa. This enriches many people’s lives as they get to learn about other languages, traditions, cultures and different ways of working from their own country. In addition to this, on a wider level it may also benefit other countries. If someone moves abroad for work, it is usually because their skill is required there. To illustrate, nurses and Doctors often move to work in hospitals in other countries when there is a shortage, so this is very valuable to the place they move to. I would therefore argue that although there are disadvantages of the current trend to live and work abroad, they are outweighed by the advantages. It can enrich people’s lives and lives of the people in the countries that they move to. As you can see in the essay, the writer believes there are more benefits so the essay is biased towards this opinion, giving more advantages than disadvantages. The opinion is very clear, and repeated in the conclusion, and the body of the essay reflects this opinion so there will be no confusion when someone reads it. This is not to suggest that this method is the only way to answer this type of question. There could be other ways. For example, some people advise to write two body paragraphs - one on the advantages and another on the disadvantages, then in the conclusion state which one outweighs the other. You can do this, but it can look at bit odd if you write about them equally, but then say there are more of one than the other! A conclusion can be cleverly worded to make this work, but that is a high level skill that many candidates do not have. You could write only about the advantages or only about disadvantages and argue that one vastly outweights the other. However, the fact that the question uses 'outweigh' or 'more' is suggesting that there are both benefits and drawbacks. The benefit of organising your advantage disadvantage essay as illustrated in this lesson is that by looking at both sides, you will have more ideas to brainstorm. And importantly, your opinion is clearand this is reflected in the essay, which is balanced to reflect and support your opinion. A model answer for this essay will be posted shortly so watch this space, or sign up using the form on the right to be notifed when there are updates to the site. Now you can have a practice. More and more students are choosing to study at colleges and universities in foreign countries.